Can I clean this space up after unlocking the phone? I also have an AT&T 640 that I unlocked that has the same memory used by the win 10 OS. Unlocking will not give you more usable space it seems. Just buy another memory card to solve your problem. Not the answer you're looking for? Browse other questions tagged windows-10-mobile storage lumia-640 or ask your own question. 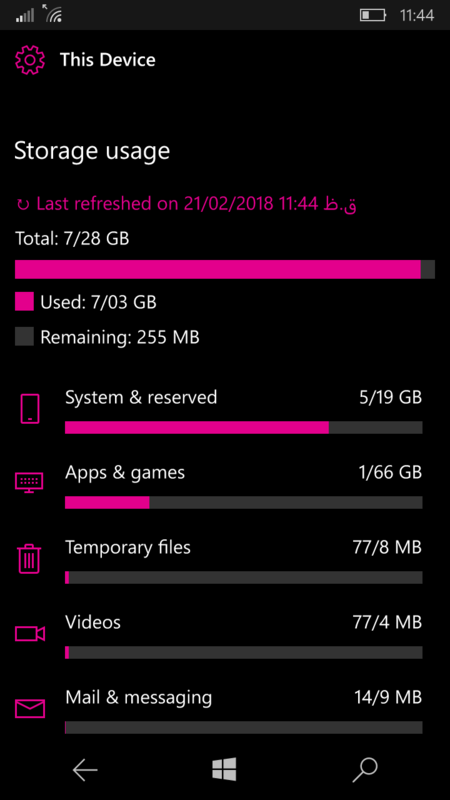 How to understand reserved space and the storage usage graph? System files using 21 GB of space? How to increase storage in Lumia 520? How much free space should I leave for the OS to work seamlessly without any lags?